When deciding if robotic milking is the right fit for you and your operation, it is important to have all of the facts. Lely is dedicated to providing the dairy industry with relevant and useful information, ensuring that all producers are informed producers. 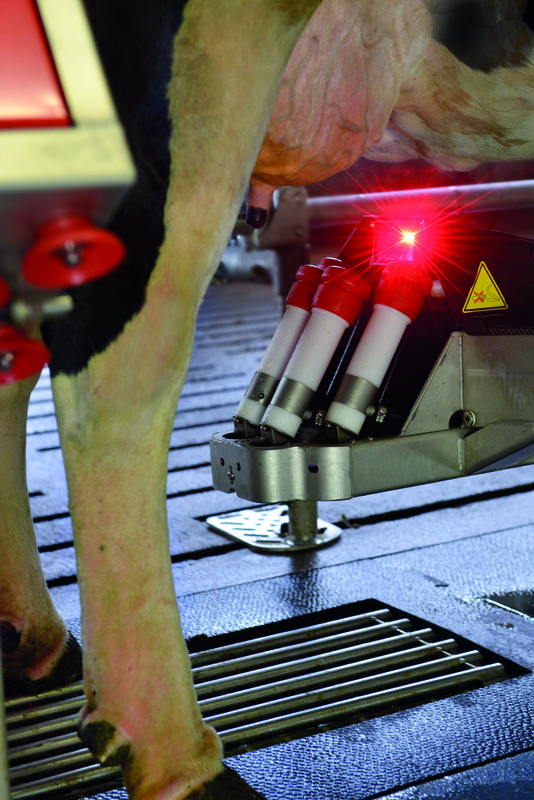 Today we share a few common robotic milking myths. Successful robotic milking is not a matter of simply automating the parlor. It is a new style of farm management whereby the decisions shift from the farmer to the cow. Thanks to the Astronaut robotic milking system there are many factors also in big herds that can be controlled on an individual cow basis; factors that cannot be controlled in a conventionally milked herd. Increasing labor costs and benefits from individual cow management are just two reasons why large dairy farms are becoming more and more aware that the Lely Astronaut robotic milking system ensures the best return on investment. We boast many years of practical experience and excellent results on both large and small dairy farms. Considering continuously increasing labor cost and benefits from improved cow health due to more data and less stress in the herd, large dairy farms also increasingly realize that our Astronaut robotic milking system ensures the best return on investment. We boast many years of practical experience as well as research results on large farms. Obviously, managing a farm with more than eight milking robots does require a different management approach and a dedicated in-house “large farm team” is ready to support those farms. The benefits of our modular system are clear. The more robots you consider, the more competitive total pricing will be. However, we have made it our mission to develop a concept for ambitious dairy farmers. Such a concept is affordable for those dairy farmers who limit their milk production to 300,000 liters per year and for dairy farms that produce well over 10 million liters of milk annually.